Canu'r dydd a chanu'r nos. Yn dwyn bythol elw fydd. Roddi i mi galon lân. an honest heart, a pure heart. Sing in the day, sing in the night. To give me a pure heart. Calon Lân is one of the most loved of all the popular Welsh hymns from the golden age of Welsh Nonconformity. It has been part of the singing repertoire of so many Welsh men and women, whether or not they spoke their native tongue. It was often sung at rugby internationals at Cardiff Arms Park and for a while was popularly acclaimed as the unofficial second national anthem of Wales. Sadly, with the demise of Welsh Nonconformity the hymn is not so well known these days and it is rarely heard at the Millennium Stadium! Calon Lân was written by the celebrated Welsh bard, Daniel James. He was born, the second of five children, to Daniel and Mary James of Llangyfelach Road, Treboeth, Swansea. Life for the James family was very harsh, as it was for so many in the industrial and mining communities of 19th century Wales. His early years were centred around the home and Chapel, and the language of the hearth was yr hen iaith - Welsh. He attended Mynyddbach Chapel, which still stands, and it was there that his free spirited Christian faith was nurtured. After a very basic education he left school to work as a manual labourer at Morriston Ironworks. It was during this time that he was taught the intricacies of Welsh verse by D.W. Thomas, an elder at Mynyddbach Chapel. He began writing poems and verses for recitation under the bardic name he chose for himself, ‘Gwyrosydd’ [Man of the Moors]. James married Ann Hopkins in 1871 and lived in a thatched cottege at Plas-y-Coed Terrace, Treboeth. He became a ‘puddler’ at Landore tinplate works, which was highly skilled work, ensuring that the correct amount of carbon went into the mixture of iron and coal. He was widowed and married twice. He fathered nine children and cared for the three children of his second wife, Gwenllian, after they were married in 1888. When Landore tinplate works closed in 1889 James was unemployed. So the family moved to Blaengarw in the Cynon Valley where he worked as a miner for twenty years. Six years later he lost his second wife. Mining took its toll on his health and in 1916, at the age of 68, he was given a job as a cemetery caretaker in Mountain Ash. He moved back to Swansea where he ended his days. He died in 1920 and is buried at his beloved Mynyddbach Chapel. ‘Gwyrosydd’ was unlike so many poets before him who were born into the landed gentry. He was very much a working man of the Welsh industrial era. However, his reputation suffered somewhat because of his liking of the demon drink. He was often to be found sitting in his special high chair in the snug of the King’s Head, Treboeth, composing verses for anyone who would buy him a beer. His chair from the King’s Head is now on proud display in Gwyrosydd School, Penlan. The former Mynyddbach Comprehensive was also recently renamed in his honour, Daniel James Community School. Much of his verse first appeared in Welsh periodicals and newspapers, but collections of it were also published: Caneuon Gwyrosydd , Caniadau Gwyrosydd  which included Calon Lân, and Aeron Awen Gwyrosydd . A posthumous collection of his works was compiled by the ‘Mabinogion Society’ of Swansea. Calon Lân has a simple appeal. From the first verse it is a prayer, not for the riches or luxuries of this world but for an honest and pure heart - calon lân. The refrain celebrates the joy of a good heart, which is more beautiful than the lilies of the field and which alone can stir the soul to ceaseless song, day and night. The second verse compares the fleeting riches of this world with the eternal reward of the life of faith. The final stanza echoes the theme, that the prayer of the faithful disciple of the Saviour is for a pure heart - calon lân. The hymn became immensely popular during the 1904-1905 Welsh Revival. 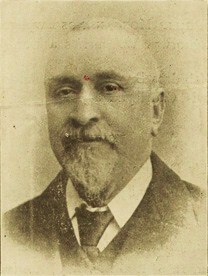 It is thought that Daniel James asked his friend John Hughes [1873-1932], of Landore, to compose a suitable tune, which he did within just a few hours.